Okay, all that is great, caption boxes, but is no one going to address the fact that the cobra is guarding a bag of gold coins? How is that not the most important part of this image? 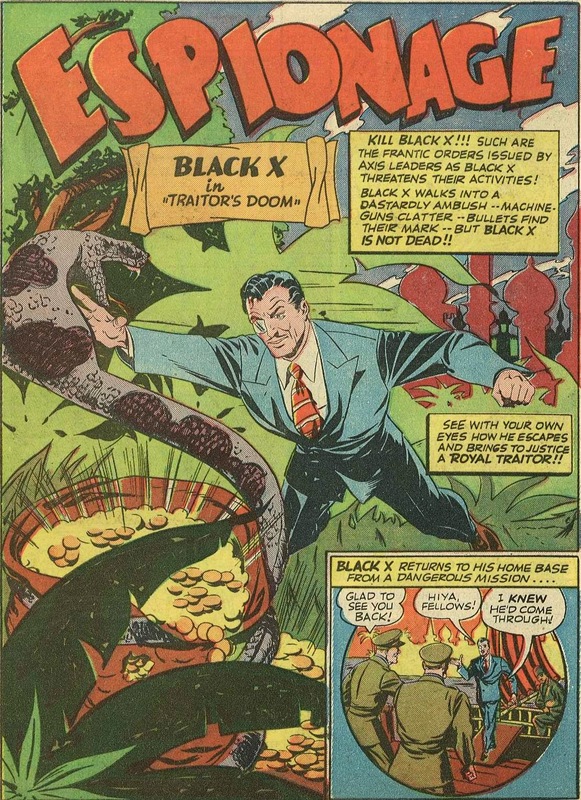 Not to mention Black X (I don't see the black part) is wearing a suit & tie borrowed from Clark Kent.